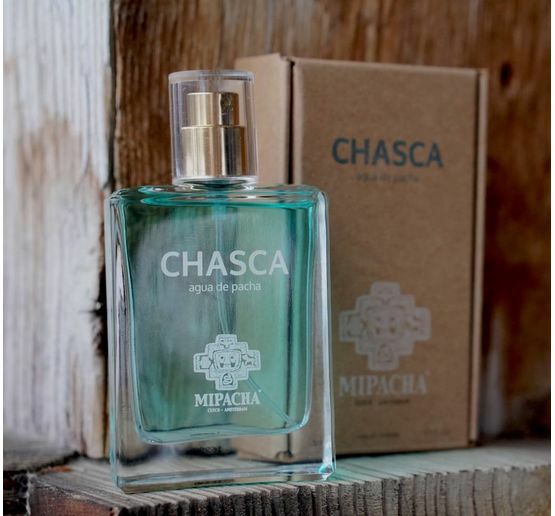 CHASCA 'agua de pacha' is the signature unisex eau de toilette of MIPACHA. The scent is stunning, fresh and sensual... an amazing, perfect and natural combination of lime peel, dry woody vetiver, musk, amber and orange blossom, named after the Inca goddess of the dawn and twilight and of the planet Venus. CHASCA 'agua de pacha' is available in a 50ml and 100ml air spray bottles.